This project included the creation of a new hairstylist salon in an upscale suburban mall. 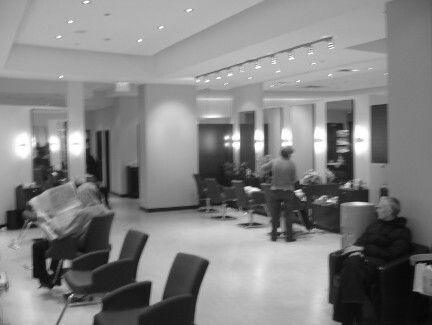 This salon features 37 new hairstylists stations, 10 new hair washing stations, an open reception and waiting area in approximately 4,600 square feet. The finishes throughout are light except for the accented dark wood veneer on selected elements. The entrance of the new hairstylist salon with the illuminated product display shelves and the full height glass entrance screen. 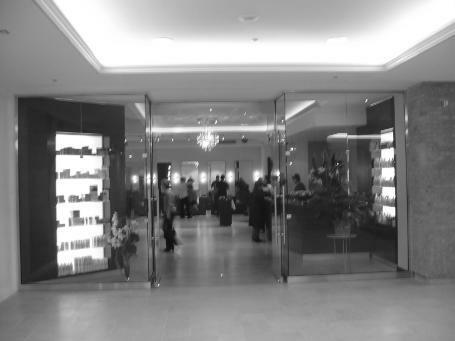 The full height illuminated product display cases were strategically placed in the entrance to highlight the client's product line. 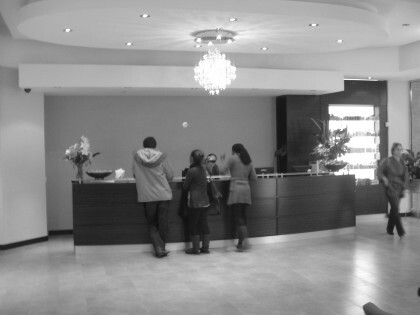 The new dark wood reception counter with floating glass shelf. The Foyer feature a glass chandelier in the middle of a floating oval ceiling feature. 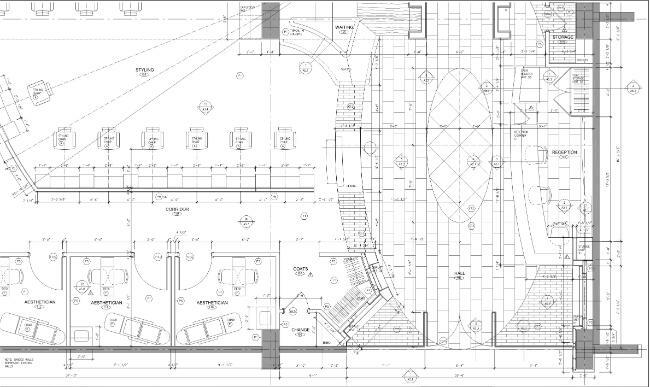 A reduced copy of the CAD floor plan showing the reception desk, the waiting areas, and some of the stylists workstations. The coats and change room located near the entrance and the aestheticians' rooms located around the perimeter of the main space. 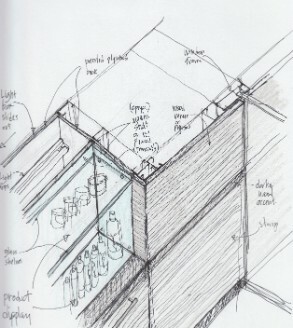 A concept sketch showing the illuminated product display case construction. The back panel is made from an acrylic with a frosted finish which helps create a very even, diffused light.